David Kirke (ca. 1597 - 1654) had had an adventurous career before his days in Newfoundland. When war broke out between England and France in 1627, Kirke was commissioned by King Charles I to attack the French in Canada. With his brothers, Kirke made two successful expeditions, culminating in the surrender of Québec in July 1629. He remained in Canada until 1632 and was knighted the next year. At some time during this period he must have visited Newfoundland, because in 1635 he wrote a description of the island. Two years later, Charles I made a "Grant of Newfoundland" to Kirke, the Marquis of Hamilton, and the earls of Pembroke and Holland. 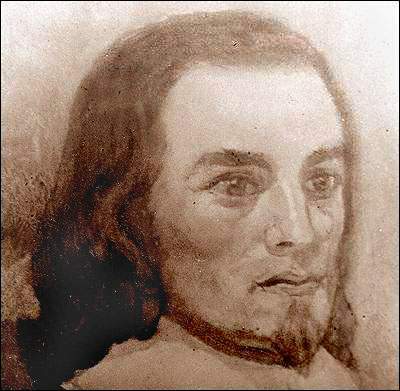 The prior right of George Calvert's descendants was set aside because the family had allegedly abandoned Ferryland, and Charles I tacitly accepted Kirke's appropriation of the settlement. Kirke wrote a description of Newfoundland in 1635. Courtesy of Archives and Special Collections (MF231- 411), Queen Elizabeth II Library, Memorial University of Newfoundland, St. John's, NL. Image modified by Wendy Churchill, 1999. However, this was not a grant of property, but of a commercial monopoly. The patentees – known as the Company of Adventurers to Newfoundland – were to have "Power to admit Merchants into their Partnership" and rights to "the sole trade of the Newfoundland, the Fishing excepted". The French and Dutch would not be excluded from fishing or the transport of fish to the Mediterranean, but discouraged by a tax of five percent on fish. This would enable the West Country merchants to monopolize fishing, while the patentees controlled the sack or cargo trade in fish. A London business run by Sir David's brothers John and James ( Kirke, Barkeley and Company) was the commercial agent of the patentees from the beginning. Their interest in the Newfoundland Plantation resulted from a prior interest in the fish trade, rather than the other way around. David Kirke's family became the original Newfoundland fish merchants, supported by dependent fisher folk who traded the fish they caught for the goods the merchant supplied. What David Kirke appropriated at Ferryland from Sir George Calvert went beyond physical infrastructure. Part of what the Kirkes co-opted was a human infrastructure bridging the Atlantic. Ferryland had close connections with the West Country ports, which habitually sent their ships and men to the south Avalon. By 1638 Dartmouth, in particular, had connections with Ferryland that stretched back to the previous century. The connection no doubt explains the hostility of some West Country merchants to the interloping Kirkes. It may also account for the fact that both George Calvert and David Kirke incorporated Dartmouth into their trading networks. The accumulated local knowledge in Dartmouth and its hinterland of the area between St. John's and Ferryland, and the personal trans-Atlantic links between these regions, were too useful not to cultivate. After 1660 ties with the North Devon ports of Barnstaple and Bideford became stronger, as did links with the New England fishing towns, particularly Salem, Massachusetts. Ferryland was also an administrative centre which, in the mid-17th century, rivalled St. John's in importance. From 1638 to 1651, Sir David Kirke was Governor of Newfoundland and actually held courts at Ferryland. The victory of Parliament in the English Civil War (1642-1648) doomed Sir David Kirke as a proprietor and governor. As a royalist, he was an enemy of the victorious Commonwealth government and in 1651 his estates were "sequestrated". This was not necessarily a permanent confiscation, and royalists could buy back their estates for a fine of ten to fifty percent of their value, as Sir David did in 1653. But he was subject to additional scrutiny for his crimes were not only political. Kirke had been part of a monopoly sanctioned by the former king, together with a circle of aristocratic courtiers. This was bad enough, but worse was the fact that Kirke appeared to have manipulated the syndicate's operations to benefit Kirke, Barkeley and Company rather than the original patentees. Kirke's three aristocratic co-adventurers died soon after the end of the Civil War, two of them on the scaffold, leaving Sir David holding the bag, so to speak. He was recalled to London in 1651 to face a suit by Cecil Calvert, second Baron Baltimore, and died there, possibly in the original Southwark "Clink", early in 1654. He was succeeded as governor by John Treworgie, a Puritan merchant from Maine, but Dartmouth-born. From Justin Winsor, ed., Narrative and Critical History of America: English Explorations and Settlements in North America 1497-1689, Vol. III (Boston: Houghton, Mifflin & Company, 1884) 546. The restoration of King Charles II in 1660 raised the question of who would be restored to the proprietorship of Newfoundland. 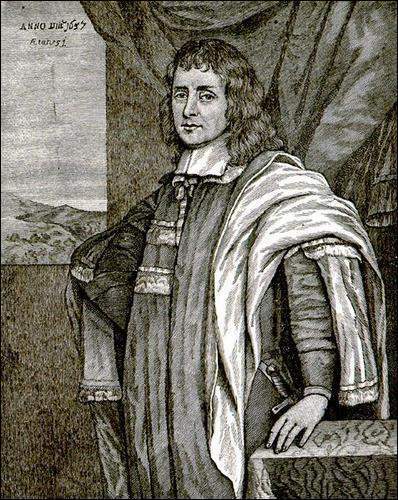 Despite the affecting pleas of Lady Kirke to the new monarch – whose father her husband had served – in 1661 Cecil Calvert regained the right to name administrative agents in the Colony of Avalon. These deputies presented "the picture but not the effects of government", in the words of a contemporary petition, and did little more than collect rents. Sir David's widow Sara and her eldest son George functioned as a kind of provincial gentry. From 1651 to her retirement in 1679 Lady Sara Kirke managed the Pool Plantation at Ferryland, and her sons developed their own plantations there and at Renews. Four decades after their arrival, the Kirkes still dominated the harbour: two generations of the extended family in five separate households had plantations there in the 1670s. When Royal Navy commodores took their censuses in the 1670s and 1680s, Ferryland was found to be one of the more populous and stable of the Newfoundland settlements, characterized by large plantations and a strong commitment to pastoral agriculture. As late as 1696, three of Sir David Kirke's sons, George, David jr. and Phillip, remained substantial planters on the Southern Shore.